First Thoughts... If you've been following my blog, you'll have seen my Q&A with Daniel in late December. I had so much fun having him on Pretty Little Memoirs and introducing an awesome author to you all before I review the book. 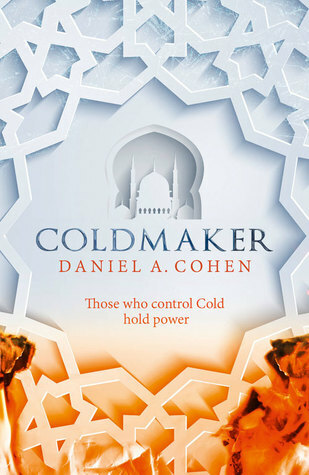 Coldmaker sounded like a fresh, music-to-my-ears idea when I was first offered the opportunity to read it so that was ultimately what first drew me in. But that cover, more so in person! How gorgeous. My Review... Micah's life is the same as any other Jadan, the slaves of his world. The Jadan's have been the slaves of the world for over eight hundred years. Since that day, so the tale tells, they stole away the Cold. It's almost as a weapon, from a metaphoric point of view, stolen away and replaced with only scorching heat that hangs over the Jadan's heads every day. Micah works through Paphos, a city he does jobs for the Nobles in. They're harsh and taxing, the poor Jadan's at their feet. But unknown to them, after everyone has done for the day, Micah unleashes his secret. He scavenges for broken and unused items from the day and tinkers them into something wonderful. Something he's hoping will save them all. But like all good things, Micah's secret tinkering faces an end as a strange Jadan appears on the scene, threatening everything Micah holds dear in Paphos as a rebellion begins between the Nobles and Jadan's, turning the city into chaos and disaster. With his secret on the line, he's thrown into a mess that's been waiting hundreds of years to be discovered that might just shatter every rule and tale that the Jadan's know of. Just wow. The pure skill and delivery of the world-building in Coldmaker is sheer brilliant. I could almost imagine the air thick with immense heat, rivers boiling and desperate for cold to break the never-ending heat. Micah was a stand-out character; young but wise, and as we follow other characters later on in the book, they glide into the pages with ease, making for an epic storyworld. I don't read a lot of High Fantasy books, but even when I do or have known of them, Coldmaker is one of the most unique, stand-out books of it's genre. I got some Hunger Games vibes and the same kind of system as books such as Divergent, and you know how much I loved those series! 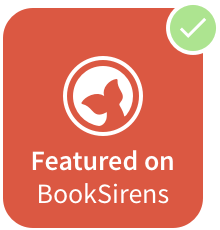 Overall, Coldmaker is a one-of-a-kind four star read with bold characters, incredible interesting plot and perfect pacing. I'm really hoping there's more to this world and that I can read more of the series! I'd definitely recommend it to YA fans of Fantasy or Dystopia. You have to read this, book lovers! If you're missing your favourite dystopia series', this one is sure to be the next hit for you.